Like many people, I have struggled very much with Our Lady’s place in my life. I have struggled to understand her or see the need to pray to her. I have resented devotions towards her and seen her as an unnecessary “addition” to our faith. Yet in all this, I longed very much to understand who she was and I wanted to know her love in the way that I saw my friends knew it. I knew I was missing out on something not only wonderful, but important and by the grace of God I was able to overcome my misconceptions. During this journey, I discovered many things that Mary is not and in them, I came to discover what she is and how she has a place in my life. 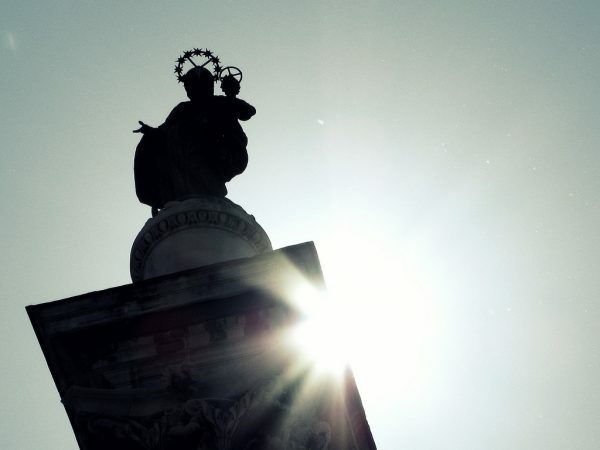 One criticism often levied at Catholics is that we worship Mary. 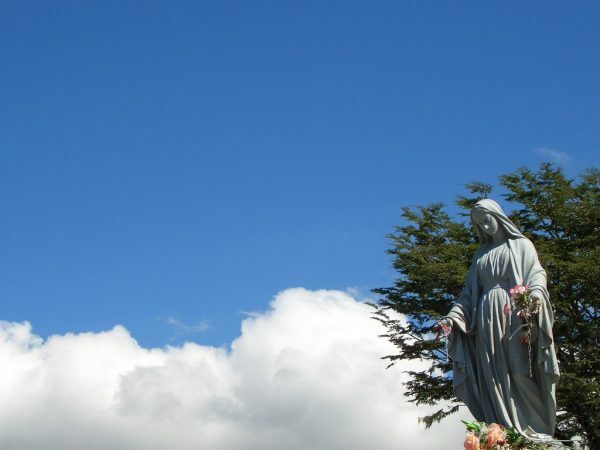 This may be a struggle in our own faith as well- how is it right to pray to Mary? Well, we often ask other people to pray for us. 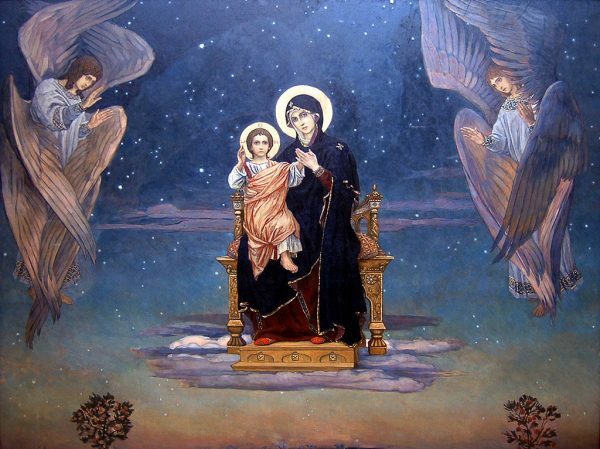 Mary is a mediator between us and God. How can Christ reject His mother? She takes our prayers to Him and reminds Him of our sufferings. Because Mary was born without sin, I believed that she judged everything I did and looked at my sins with disdain. Yet I did not realize that Mary can go to your darkest places with you and be the light that guides you home. St Augustine described Mary as being like the moon, which reflects the light of the Sun (Christ) a light in our darkness when the light of the Sun is too bright for us to look at. Mary is known as the ‘refuge of sinners’ and like all good mothers, she wants only to bring us home from our brokenness and into the Mercy of her Son. She does not stand in judgement before us, but she does keep nudging us, calling to us, encouraging us to return home. 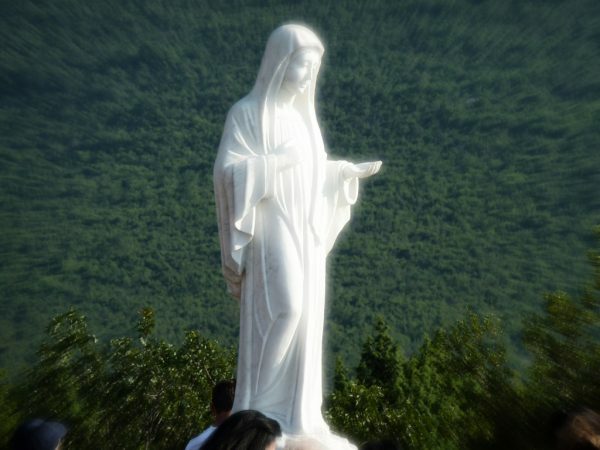 The number of apparitions of Our Lady can be a controversial topic. Did she really appear? Can we know for sure that people are telling the truth? Are we required to believe in them? They can seem downright weird and when we don’t understand something, it can be very frightening. It may take a visit to a place of pilgrimage of an apparition to feel any understanding or peace about it. 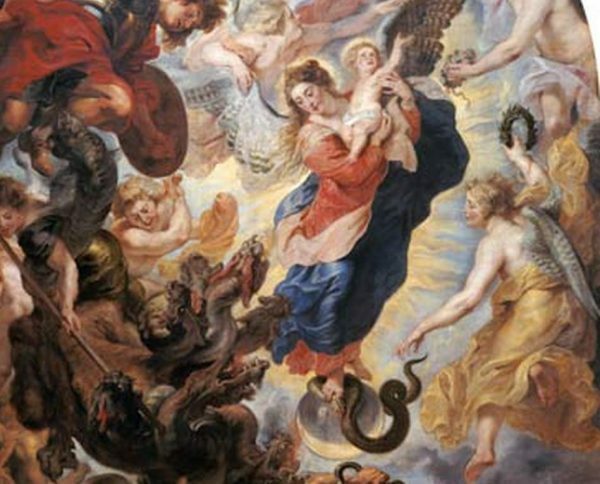 However, all of Our Lady’s apparitions are motivated by her love of us and her messages come, like all good mothers, because she cares about us and wants us to be saved from the consequences of our sins. We are not obliged to believe in these apparitions. They are ‘private’ revelations. However, some devotions surrounding them are very beautiful and with time, you may find yourself drawn to the messages of them. 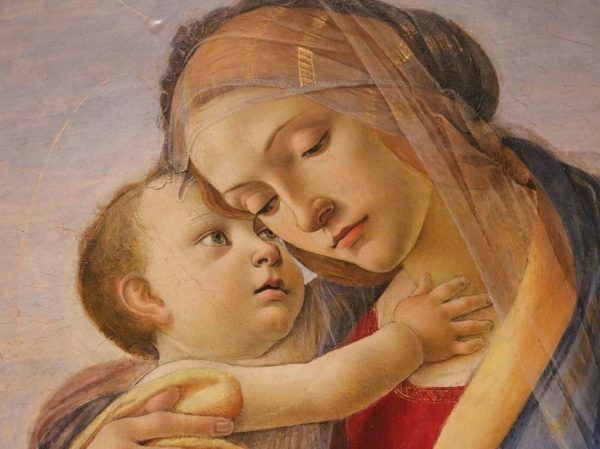 In order to understand Mary, we naturally look to our own mothers as a model of motherhood. They are the lens through which we see her. However, no matter how wonderful our earthly mothers might be, they are never going to be perfect and so we tend to project the negative characteristics or experiences of our own mothers onto Our Lady, making her into a bigger, more negative version of our own mother. This can be a particular problem if you have a very broken relationship with your earthly mother. But fear not. Mary was without sin, making her therefore the best kind of mother there is. She is all the positive attributes of your own mother and more. She is the best at motherhood! She cares for us and longs for us to know her son better! This is a common misconception about Our Lady and comes from our lack of human understanding of the concepts of obedience and humility. Yes, Mary was obedient and humble, but that doesn’t mean she was a pushover, subservient or grovelling. It means she always knew that God had a perfect plan, better than her own, greater than her understanding. It meant that she was generous with everything and cared deeply about those around her. Whilst maintaining her humility she was also assertive- think of Mary at the Wedding Feast at Cana (John 2:1) when she was persistent in asking Jesus to do something about the situation. It also takes a strong person to be obedient. It takes a strong person to be a refugee (Matt 2:13), to bring up a child in poverty, surrounded by suspicion and ridicule in a homeland ruled over by violent occupiers from another country. It takes a strong person to watch their only son publicly tortured, humiliated and eventually executed. 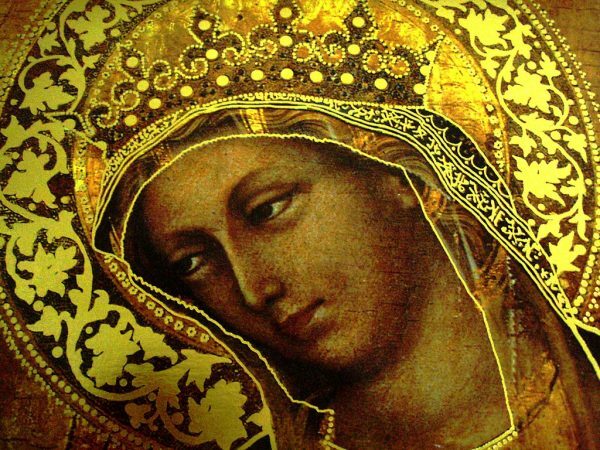 There is nothing weak about Mary. We are visual people, we build up ideas and concepts in our mind through what we see. Growing up in our faith or coming to the faith as an adult, we see a lot of images of Our Lady depicted in one way or another; fine art, prayer cards, statues, icons. These may be extremely helpful to us in our devotion to Our Lady but at the same time others may be hugely detrimental. They are all personal interpretations and therefore may suit one person more than another. If what you have previously seen isn’t your taste, keep searching. I was surprised by how much changed when I was able to find a picture of Our Lady that I identified with. We are a universal church; we have many cultures from which to draw from and these can all help us gain insights into who Our Lady is. In turn, this can strengthen our relationship with her and she then brings us closer to her Son. Christ gave us His mother at the foot of the Cross (John 19:26). The very moment before He died, in agony, Christ still thought to give us His mother. It takes time and prayer and patience and persistence to build a relationship with her. But Mary is passionately interested in your life. Look to the story of the Visitation (Luke 1:39)- after receiving such huge news, Mary didn’t think of herself but set off on a long journey to share her news with her cousin Elizabeth, giving of herself with a spirit of generosity and interest. In the same way, in our own lives, she wants only to help bring you to the joys of her Son and eternal life. She can cut through the mess and difficulties of our life and bring us straight to Jesus. She teaches us to walk, like a toddler, again and again picking us up when we fall over. Firstly, Mary cannot be boring- have you ever tried to raise the Messiah?! Mary lived with Jesus for thirty years of His life and then is present in the Gospels in the background for three years of His ministry. She witnessed the miracle of the Wedding Feast at Cana (John 2: 1), was present at the Crucifixion (John 19:25), must have met with the Risen Christ and prayed with the Apostles after the Ascension (Acts 1:14) to name but a few extraordinary events in her life. This does not a boring person make! Another sure-fire way to believe that Mary is boring is through a poor introduction to the Rosary. We may believe that Mary wants, inexplicably, to hear endless, dull monotonous prayers for some unspecified reason known only to her. Give the Rosary a second chance! Give it a third, or fourth, or fifth chance! Give it infinite chances! I love the rosary and yet I find praying it so difficult. The beauty of the rosary lies in its deceptive simplicity. The rosary, though we are right to pray it for our intentions, is not about us. It is about walking through Christ’s life with Mary at our side. It is about entering into the mysteries of our faith and meditating on them through the simplicity of repeating the Hail Marys. It is about asking your mother again and again and again for help. Switch off all the distractions, find a quiet space in your mind and heart and use your God given imagination to put yourself into the moments of Jesus’ life. Padre Pio said that the Rosary is the most powerful weapon we have. We have no idea what lies within its straightforward exterior. Pray the Rosary with complete confidence and trust and discover where it takes you. Where did all this devotion to Our Lady come from?! When in doubt, go back to the beginning. Meditate on the remarkable nature of a simple girl from a poor background. Read the Bible verses where Mary is mentioned; the Annunciation, the Finding of the Child Jesus in the Temple, the Wedding Feast at Cana, the Way of the Cross. If you have struggled with all the exteriors of Mary in our faith then simply meditate on who she was in the Gospels. How would she have felt at these times? What would a mother feel like today experiencing these things? Too often we can get used to the miracles and extraordinary stories in the Gospel. Rediscover Mary’s story, and let it surprise you. 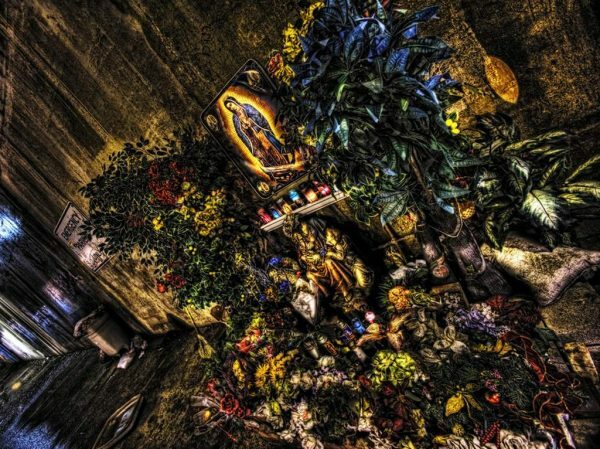 Surprisingly, it was the devotion of my male friends to Our Lady that most helped me on my way to understanding her. When I found the ultra girly, flowery approach to Mary too much, I saw how much strength my male friends drew from Mary. To them, she was a strong female role model who spoke both to the little child in them and encouraged them forward into the man they were made to be. It was a man, John, whom Christ gave His mother to, on the Cross. (John 19:27). Mary would have been around the disciples and even prayed with them (Acts 1:14). She brought up a son. She knows how to relate to men! Mary has something to say to everyone, and her motherhood is for everyone. Ruth Baker is 26 and comes from England. She loves running, wild camping and writing and thinks there is almost nothing better than the feeling of satisfaction after a day out in the mountains. She is currently studying Creative Writing at university. Her faith means everything to her.